Congratulations Judy... another happy day for you! Thank you to all of you who played along. I hope new giveaways and fun times are ahead for all of us. Now this is an inspiring cookbook. Got eggs? Lara Ferroni has seventy suggestions for where to put your eggs, and she's covered those in her cookbook Put An Egg On It. It looks like Sasquatch Books has a lot of great titles in their catalog, and I was really excited when they asked me to share a copy of Put An Egg On It with Chickenblog readers! 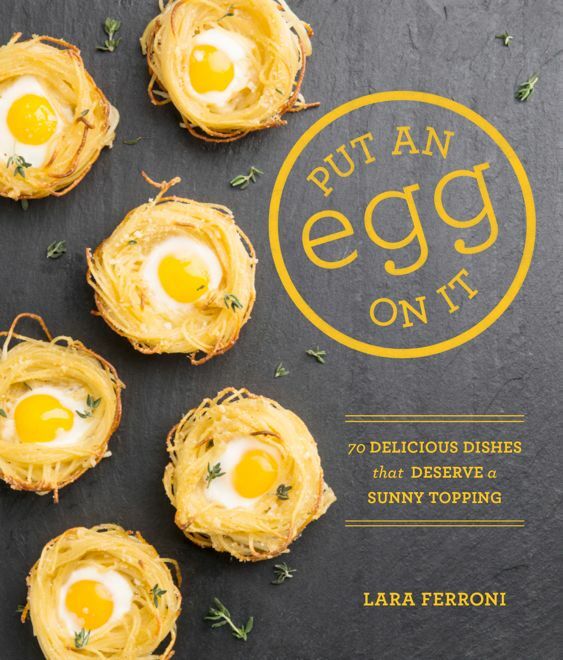 So, whether you have laying hens, a great CSA, a favorite farmers market, or just no idea what to do with your market eggs, you will want to see all the new and creative ideas Lara Ferroni is sharing in her eggceptional cookbook. I have my copy, in the kitchen, and I am daring myself to learn how to make poached eggs. I've never had a poached egg! Is that odd? I dunno. I certainly have never made a poached egg, so I will be following the recipe to the letter! I would love it if you shared this giveaway with friends, on FB, Twitter... the more the merrier, and I'll add your name in the fez twice when you share Chickenblog! Thank you, friends, and good luck! ***** Love seeing the FB posts, and your comments here on CB! Poached eggs are my absolute favorite, although I make them in a little "cheater" egg poacher and not the real way (always wanted to learn!). Awesome! I will share your blog on my Facebook wall. That looks like an interesting cookbook! Wow! I just discovered your blog thru POSIE, and what perfect timing! We've got laying hens and I'd love to have some new recipes to make use of their marvelous eggs (we're all getting a little sick of Frittatta's;). This book looks perfect for us! Thanks so much for the chance, and looking forward to discovering the rest of your blog now that I've found it! I never had an egg I didn't like! Would love to win this cookbook to try new eggciting recipes! Ok, throw my name into the hat as well. Thanks! New friends, dear friends! 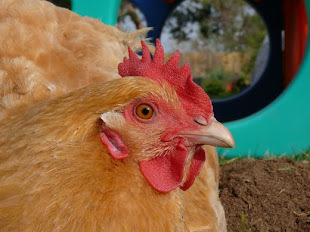 Thank you for visiting Chickenblog. The fez is filling up! I love eggs! Is it too late to enter the drawing? No yolk, this is eggzactly the third time I've tried to post a comment. Natalie, what a sweet blog you have! Found you through Posie and am happy I did. I was just thinking today after eating oatmeal the last few mornings that I really need to have eggs and other protein yummies for breakfast. Count me in! I need to eat more eggs. Protein is good. So many eggs, so little time:) Thanks Natalie! I just saw the book at the bookstore yesterday and loved it! Thanks for the chance. You are all right because life is empty without eggs.